A search term on expats lead a reader to my blog this week and it has prompted me to write this post. The search term used to find my blog was “mental health of expats in Turkey”. I was intrigued as to why someone was asking this. Had they been traveling around Turkey and come across the totally crazy expats that occupy these shores? Were they thinking of moving here but were concerned about what expat life can do to a person’s mental health and well-being? Whatever the reason the fact is that when you come to Turkey, you will definitely come into contact with one or more expats unless you are camping in the back of beyond. We are everywhere but mainly tend to gather in packs on the Aegean and Mediterranean coasts. I am not normally one for stereotyping people however life in Turkey as an expat does change your outlook and personality. When you meet us, you will be able to place us into one or more of the following four stereotypes. They can normally be spotted in a bar arguing with the owner over the price of beer. When you point out that they are throwing their dummy out of the pram for the equivalent of a mere twenty pence, you will be subjected to a long winded lecture that it is not about the price but the principal. If Mr and Mrs Frugal do not get their discounted beer then the owner of the bar will subjected to a flurry of insults and threats that no expats will ever visit their bar again. Solution – Point, laugh and carry on drinking. Nobody takes any notice of them and neither should you. Unfortunately Mr and Mrs Negative were under the impression that they were moving to paradise. They expected blissful days in the sun with not a worry in the world. Of course, a combination of bad but insignificant events have lead Mr and Mrs Negative to believe that the Prime minister of Turkey personally hates them with a vengeance and has implemented a campaign to get them out of the country. Instead of helping you to know more about Turkey, they have an effect that makes you want to throw yourself under the nearest passing bus. Solution – Wear a disguise; change your hotel or even resort. Just do anything to avoid them at all costs. Negativity is contagious and after thirty minutes of listening to them you will be signing up for a life supply of Prozac. 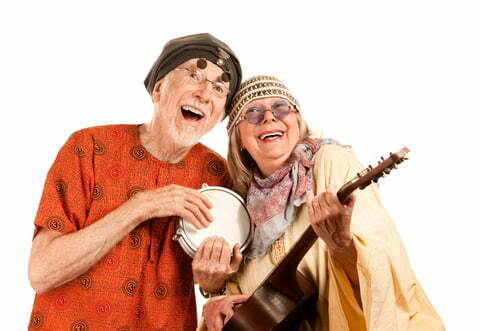 Expats – Group Three – Mr and Mrs Know-It-All. Mr and Mrs Know-It-All are like a double sided coin. They can provide you with a lot of useful information however their attitude of talking down to you like a three year old makes you want to shove a rotten Turkish kebab down their throat. Do not under any circumstances, question the knowledge of Mr and Mrs Know-It-All as you will find yourself thrown out of their gang and social invites will dwindle down to nothing. Solution – If you want an active social life, then understand and comprehend the meaning of one way conversations. If being part of the gang is not an issue for you, just ignore them but be prepared for your ears to be burning 24/7. These expats have settled into the community with realistic expectations. They know they are living in a country with different customs, traditions and a language barrier. They will share information and help you in such a way that a long term friendship is formed. If you come across these expats then treasure them and use them to find out everything you want to know about Turkey whether you are planning on living here or simply traveling around. “Some cause happiness wherever they go; others, whenever they go.” – Oscar Wilde. Yes, normally when they have been hanging around with the wrong types! Loved this post Natalie! Don’t you agree that there is often a fine line between #3 and #4. They may seem like #4 at first but after a conversation it becomes clear that they know EVERYTHING about EVERYTHING! It amazes me too Kelly and I still hear it every day! LOVE this blog Natalie and also the responses to date! keep them rolling in! I definitely agree with the first response with proposal for a fifth group who hate “bloody foreigners” (usually emphasis on the Kurds in this group…because they for some reason, consider Kurds to be foreign within their own country) yet they move abroad to become foreigners themselves …….. and then spread their anti-foreign opinions to Turks / Kurds who listen bemused! I guess being British is not classed as being foreign in their small minds [email protected]! excellent. i hate know-it-alls! tip: they normally don’t! Hi Natalie – Thanks for listing me in this post! (Better late than never.) I really appreciate it. And I particularly can relate to the Mr. and Mrs. Know it all! If I had a penny for every time . . . In a way Theodora the Turks start it. There is a price war going on at the moment with the price of beer. Some of the restaurants trying to undercut each other. So it’s not just objecting to the price of a beer but negotiating a discount? How on earth does Turkey attract these people? ha ha what a fun post, I like how you group them and explaining them. What a fantastic blog and so so true…….I hope I am #4!!! @Jim – Of course you are in group 4. I would not dream of putting you in any other. the other type is the ‘eye specialist’. Stick me in group 4 please…I know you will.! @Barbara – You are definitely number 4 as well with the amount of information that you share on your blog. @Aaron – Hmm another blog post idea there about the Turkish language. I have my wicked head on today! @Pete – Thanks Pete – If these expats are all over the world, then perhaps it is a stage process as Jake mentioned above. Thanks for the great post. How true! To echo everyone else – I hope I’m in that last group. Perhaps another group could be the English Compound Club, those found working tirelessly to never learn the local language. @Elaine. I liked Shane’s suggestion as well. Not mentioning any names though! @Turkeys For life. With the information on your blog, no one can say you are anything but number four! @Cam. Glad you liked my post of the crazy expats in Turkey! Fun and insightful post – and so true! Spot on! I would also agree with Shane’s additional types. This sort of list isn’t isolated to Turkey. I see some of the same groups pop up in the Expat circles in Germany too. I like @Ayak’s recommendation. Sometimes living the expat life can be so trying that any other expat seems like a friend just because you have the expatness in common. It is worth thinking about whether you actually want them as a friend and not just cling to familiarity. @Michael – Loved your post on Ralph and the pet monkey! This is good. I think I’ve fallen into all four categories at times. It’s fun to see myself profiled in this way. Hopefully I’ve leveled out to group four. It seems to me that these may actually be stages that most people who stay long term pass through at some point along the journey… although some people don’t ever reach stage 4. Love this post — I did an “expat post” long, long ago on my blog, trashing some expats in particular in Nicaragua. Back then I was a bit naive and didn’t realize people would search for themselves or my blog. These folks found the post… and commented. 😉 http://www.goseewrite.com/2008/05/expats-in-nicaragua/ — still makes me chuckle. @Ayak – Great advice Ayak and still loving your blog. @Karen and thanks for your comment. I had to put in number four otherwise we would all be booking ourselves in for therapy! Whew! Thank goodness, there was a positive role for expats. I was getting worried there. Hope I’m #4! Thanks for mentioning my blog Natalie…and this is a brilliant post and sums up expats pretty well. My advice to new expats would be to integrate as much as possible. Embrace the culture and the generosity of this wonderful race, and above all when forming friendships with other expats stop and ask yourself if they are really the kind of people you would have been friends with in your home country. If they aren’t there’s no reason why they should be friends here. He he. Fun post. Please God I hope we’re number Four. Mr and Mrs we hate immigrants and foreigners so we thought we’d move abroad and become immigrants ourselves.